It's taco time anytime in these Taco Tuesday Black women's socks. This pair of flat knit black socks for women feature a multicolored allover taco print plus ribbed trim. 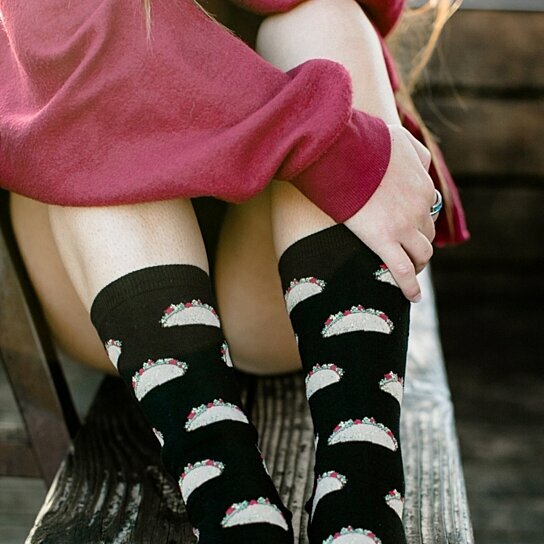 Wear these fun socks any time you're in the mood for a tasty taco!